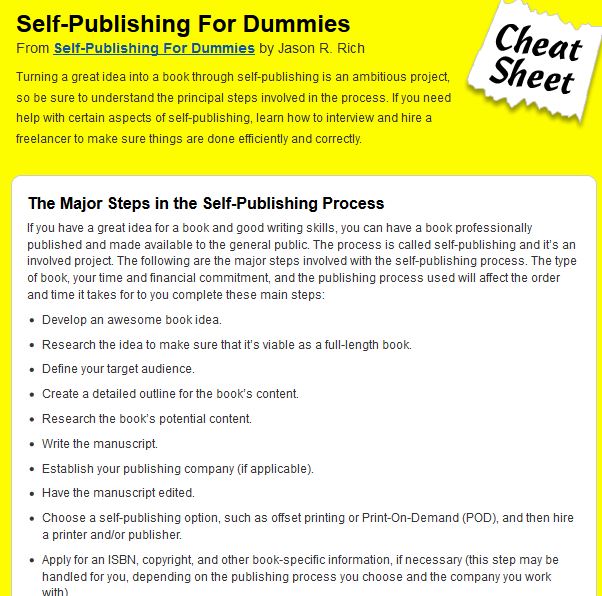 Self-Publishing Cheat Sheet: provides you with steps you need to take to turn your idea into a book through self-publishing. 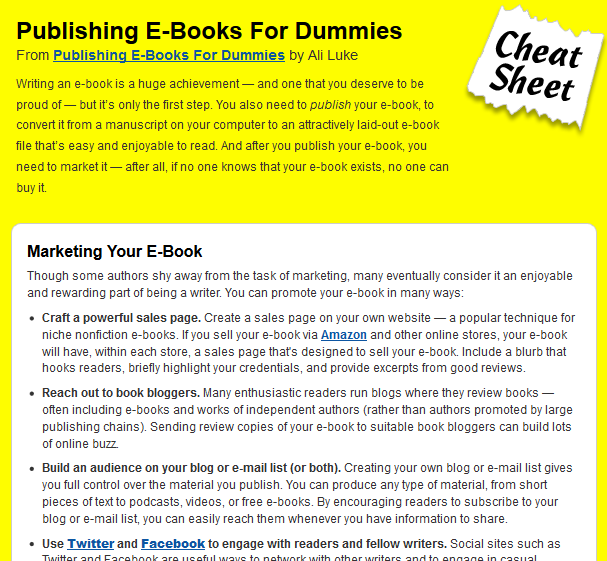 Publishing E-books Cheat Sheet: gives you an idea how to market your e-book once you have written it. It is worth going through if you are a first time author. 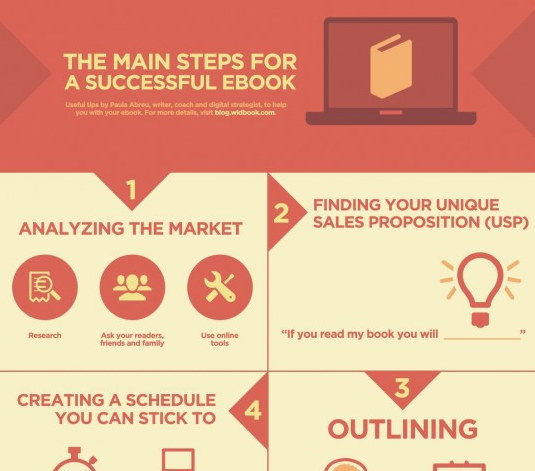 Launching a Successful E-book: a simple to follow cheat sheet that shows some of the steps you have to take to launch a successful e-book (by widbook). Writing your first e-book may not look easy but everyone has to start somewhere. These cheat sheets can help you get started on the right track. Next story NOOK GlowLight $99 – New Model Coming?